Four decades of printing innovation. For over 40 years, King Printing Solutions has provided companies with exceptional quality printed materials, including labels for packaged goods such as beverages, food products, pharmaceuticals, and household products. 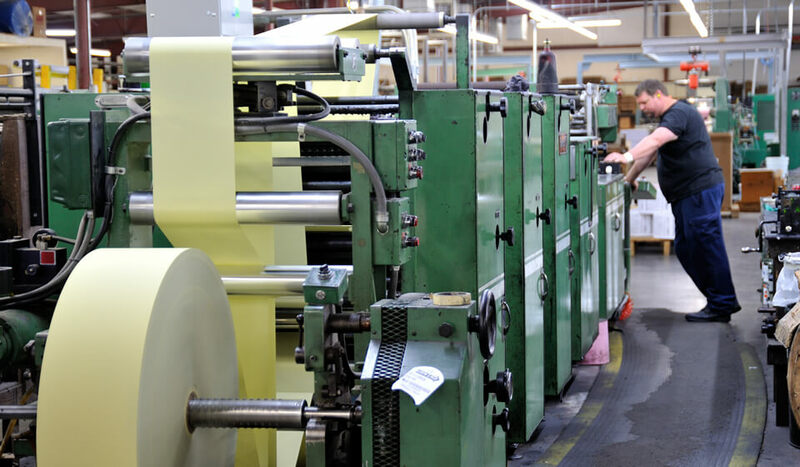 We also produce multi-part business forms, twin-web forms, laser cut sheets, security forms, and the industry’s leading pressure seal mailers. Our primary trade area is the eastern United States, east of the Mississippi River. Our plant location in Tennessee gives us a strategic advantage with extensive interstate shipping access. In fact, much of the eastern U.S. lies within a 500-mile radius of our facility, creating noticeable cost saving for our customers.